Reconnect Your Mind, Body and Spirit! 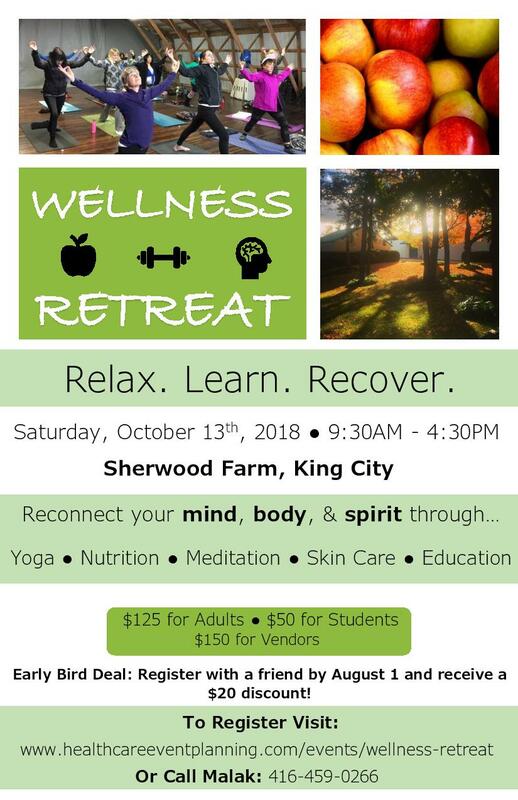 The retreat will feature plenary sessions and breakout workshops, a delicious lunch, entertainment and a raffle with proceeds being donated to charity. Sharon Bates will be hosting a Eminence Organic Skin Care workshop using the award winning brand. Learn more about the amazing product line as well as tips and tricks to keep your skin looking and feeling its best. You will love the all natural fragrances and proven results you can expect from an organic line. Each participant will fill out a short questionnaire about their skin goals and concerns and be able to preform their own mini facial using a personalized regimen. There will be samples for each participant to take home and a door prize at the workshop. The Eminence product line and accessories will be available for purchased after the workshop! Doreen Johnston, Nutrition Coach: We all know that we need nutrition, quality nutrition every single day. We are blessed with a LOT of food in this country, but sadly it is not providing the nutrition that it once did. For instance, to get the same nutrition from one bowl of spinach in 1953, today we would have to eat 43 bowls. Now, I like spinach - cooked or raw but frankly, I can’t eat that many bowls in one sitting. Can you? The same is true for other fruits and vegetables. Apples 12 per day to get the nutrition we used to get out of 1. Perhaps this explains why we lack energy, sleep so poorly, have weak immune systems, gain weight so easily and who knows what else. We need 90 vitamins and minerals per day, every day. The body doesn’t product them so where are you going to get yours?